Today marks post number 200 for Welcome To Now! Great things are in store for this spring and summer, so stay tuned, and enjoy! 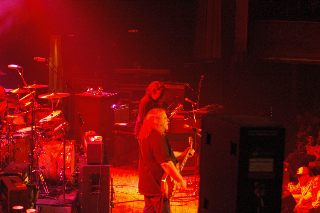 Gov’t Mule is currently truckin’ along, mid-way through their massive ‘By A Thread Winter 2010 Tour‘. The tour kicked off on January 20th in Fort Lauderdale, FL just 2 days after the conclusion of the band’s first ever ‘Island Exodus’ in Negril, Jamaica. This tour covers serious ground and has already made stops in Florida, Alabama, South Carolina, Mississippi, Tennessee, and Ohio (all in a little over a week). Upcoming big tour stops include The House of Blues in Cleveland and Chicago AND Dallas, The Pageant in St. Louis, The Filmore in Devner, and Stubb’s Amphitheater in Austin among many others. 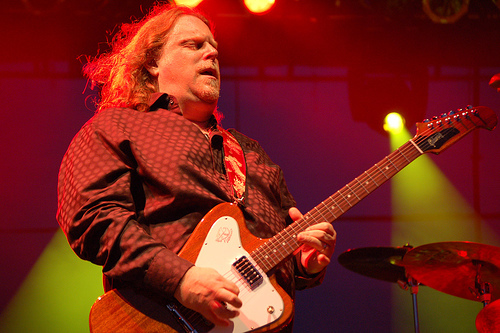 It’s touring like this that earns Warren Haynes and the Mule Crew serious respect in the Jam Scene and reinforce Warren’s reputation as the hardest working man in Jam. 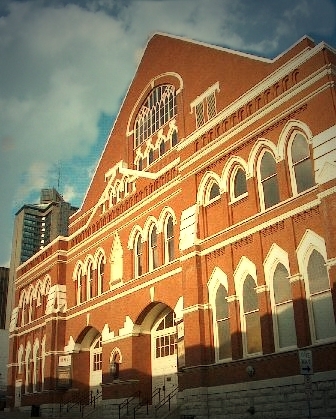 Check out this fun and eclectic Mule show from Thursday night at the Ryman in Nashville, TN. Mule busted out some rare covers like ‘The Shape I’m In’ (The Band), ‘Ventilator Blues’ (Rolling Stones), and ‘When The Music’s Over’ (The Doors) along w/ more oft-played cover tunes ‘Dear Prudence’ (Beatles), ‘Cortez The Killer’ (Neil Young). Three of these coveres – Ventilator, Dear Prudence, and Cortez – featured guest sit-ins by Audley Freed, guitarist from the Black Crowes. 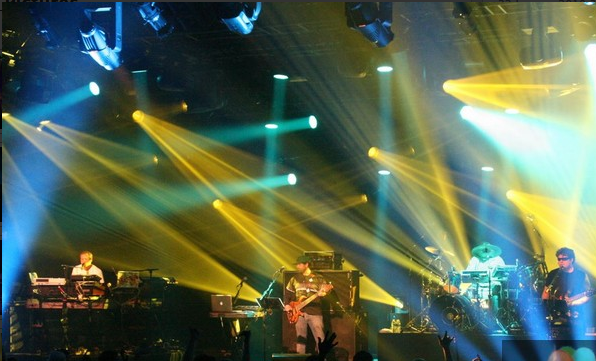 The Disco Biscuits make their triumphant return to the stage after their massively successful and well-praised New Year’s 2009 5-night-run at the Nokia. The boys are back with a big 4 night run this weekend (Jan. 28, 29, 30, 31) at The Fox in Boulder, CO. The first two nights look like great shows on paper – lots of fun segues, jams, and a nice mix of new and old selections. Check out setlists and videos from Nights 1 and 2 below, and audio downloads (NEW ADDED 2/02/10). Enjoy! Check the latest Bisco uploads on YouTube here as more clips are sure to surface over the course of the weekend. 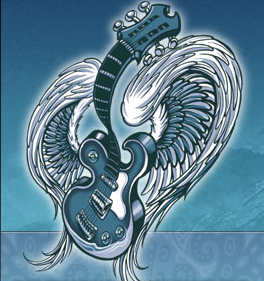 The Allman Brothers Band and Widespread Panic will perform Friday and Saturday night of the Festival. 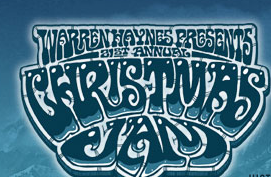 Other performers include: Gov’t Mule; Derek Trucks & Susan Tedeschi; Bob Weir, Rob Wasserman, & Jay Lane are Scaring the Childern; Stephen Stills; The Black Keys; Dr. John; Hot Tuna Electric; 7 Walkers featuring Bill Kreutzmann & Papa Mali; JJ Grey & Mofro; Johnny Winter; George Clinton & Parliament Funkadelic; The Funky Meters; The Wailers; Sharon Jones and The Dap-Kings; North Mississippi Allstars; A Family Affair with Ivan Neville’s Dumpstaphunk (performing Sly & The Family Stone); Jaimoe’s Jasssz Band; Chuck Leavell with The Randall Bramblett Band; Particle; Oteil and Kofi Burbridge with The Lee Boys; Col. Bruce Hampton; Devon Allman’s Honeytribe; Scrapomatic; Bobby Lee Rodgers Trio and Bonobos Convergence. Wanee’s lineup pretty much speaks for itself this year – this looks to be a smoking festival with a diverse group of the best of the best in the jam scene. Tickets are on sale now at Wanee’s website. Gov’t Mule (Two Nights), Derek Trucks & Susan Tedeschi, Michael Franti & Spearhead, The Avett Brothers, Les Claypool (Late Night Set), Toots & The Maytals, Yonder Mountain String Band, Matisyahu, Dark Star Orchestra, Dave Mason, Lettuce, ALO, Jonathan Tyler & The Northern Lights, Elmwood & The London Souls plus many more to be announced. Tickets will be on-sale Monday January 25th at 10am Through www.mountainjam.com. The big question remains who will occupy the Sunday night headlining slot? 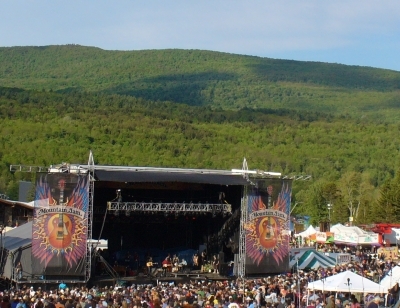 The Allman Brothers Band headlined in 2009, Ratdog in 2008, and Phil Lesh and Friends in 2007. 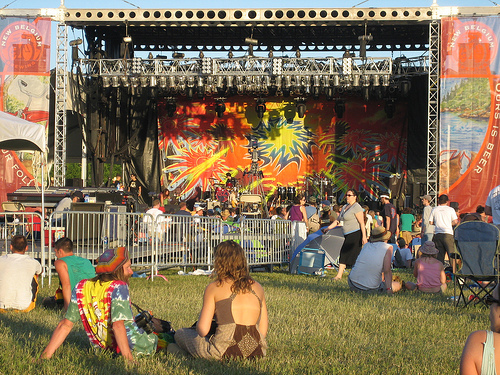 Rumors point to either Furthur, or Widespread Panic to have the honors this year. There should be a lot of other good artists added in the coming weeks as well so stay tuned. STS9, The Disco Biscuits, Slightly Stoopid, John Butler Trio, Blues Traveler, Zappa Plays Zappa, Bassnectar, Railroad Earth, The Machine performs Pink Floyd, JJ Grey & MOFRO, Lotus, Rebelution, ALO, Tea Leaf Green, BoomBox, Black Joe Lewis, Ivan Neville’s Dumpstaphunk, EOTO, James Zabiela, Split Lip Rayfield, Hayes Carll, Sub Swara, Stephen Kellogg & the Sixers, Reverend Peyton’s BigDamn Band, Trampled by Turtles, Wookiefoot, Mishka, Big Gigantic, Truth & Salvage Co., Fort Knox Five, Mountain Sprout, Band of Heathens, Last Waltz Ensemble, Cash’d Out, Earl Greyhound, Bluetech, Uglysuit, Passafire, Simplified, Hoots & Hellmouth, Resident Anti-Hero plus many more artists still to be announced. 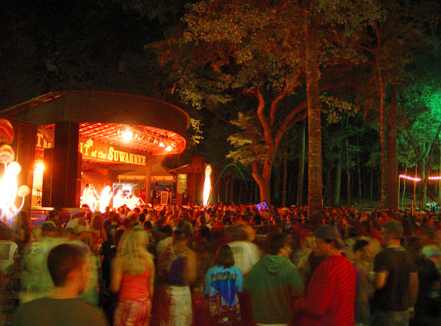 Wakaruska boasts a diverse and comprehensive lineup this year with a ton of big-hitter electronic headliners such as The Disco Biscuits, STS9, Lotus, Bassnectar, and EOTO. But this fest isn’t just straight-Untz, other big rock/funk/bluegrass names include the The Machine, Railroad Earth, Ivan Neville’s Dumpstaphunk, Zappa Plays Zappa, and Blues Traveler. The preliminary lineup announcement is due on February 2nd, heavily rumored acts include Furthur, Jay-Z, The Rolling Stones, Stevie Wonder, Dave Matthews Band, Jack Johnson, Pearl Jam, Girl Talk, Steve Martin and many many many more of course. 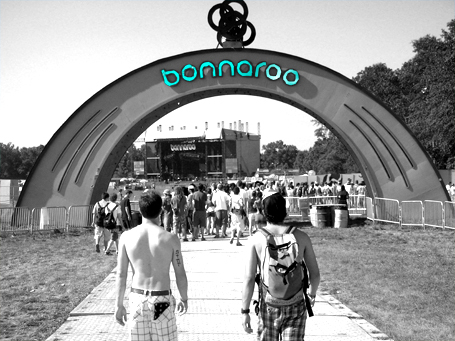 Keep an eye on Bonnaroo’s twitter feed for clues as to who will be appearing at this year’s festivities. 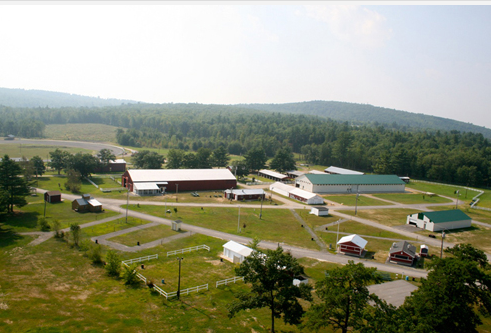 With Rothbury cancelled at least for this summer, rumor has it that AEG Live/Madison House are going to go big this year with their first Annual ‘Nateva Festival’ to be held in Oxford, ME over July 4th weekend. Nateva will make their initial lineup announcement this Friday, January 29th. 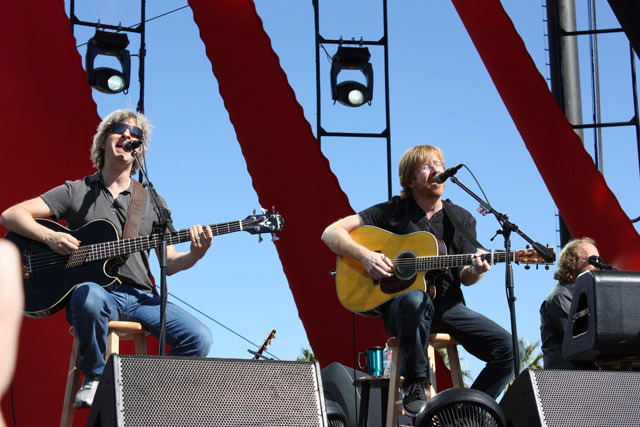 Rumored big names include The Allman Brothers Band, Furthur, The Flaming Lips, and Trey Anastasio Band. 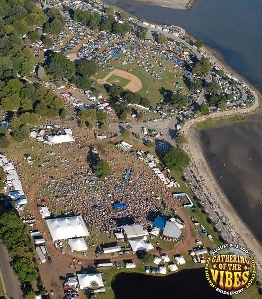 No official announcment on lineup yet from the Vibe Tribe, but the festival has confirmed that they will return to Seaside Park, even after last year’s lower-than-hoped attendance, unfortunate deatch of a camper, and investigation into illegal activities by private security hired by the festival producers. All that aside, Vibes is back and is sure to be better than ever. An educated guess at this year’s lineup with we Dark Star Orchestra on Thursday night, Furthur on Saturday, and Deep Banana Blackout + other big names for Friday. 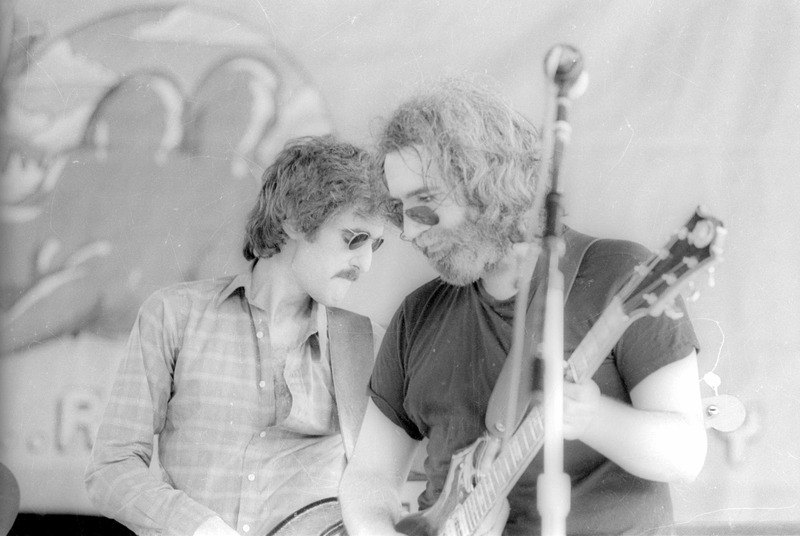 If your’e a deadhead, there’s no place like the vibes, it truly is Deadhead Heaven. As I’m sure all WTN readers out there are all too aware, we all need a hiatus sometimes. 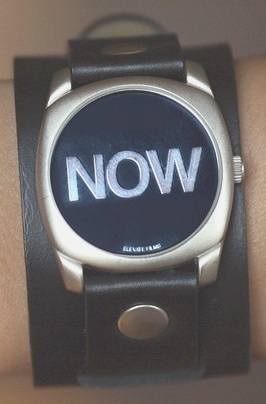 Well, Welcome To Now is no different. But we’re back, rested and fired up for Welcome To Now 2.0. 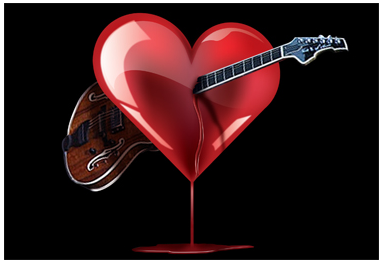 Coming soon, we’ll be looking back at some of the amazing music that has transpired over the past few months, and looking forward to live coverage of upcoming Winter/Spring tours from Trey Anastasio Band, Furthur, The Allman Brothers Band, The Disco Biscuits, and many more. So strap in, welcome to now, and let’s get this show (back) on the road!